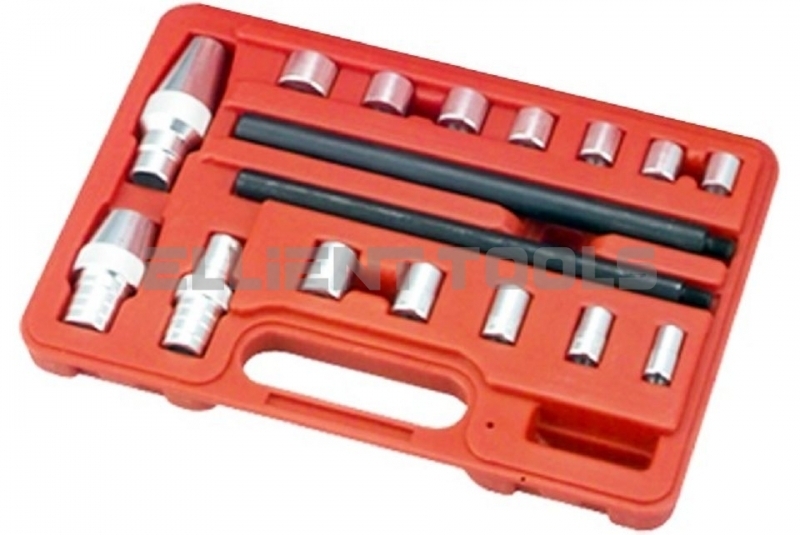 Clutch Alignment Tool Set 17pc | Ellient International Co., Ltd.
1. Essential for clutch installation on virtually all cars and light-duty trucks. 2. Aligns clutch plate properly by using tapered cones and pilot adapters. 3. Includes seven fractional pilot adapters, one clutch disc centering adapter and one alignment shaft. 4. Includes five metric pilot adapters, two clutch disc centering adapters and one alignment shaft.